The Nova Scotia Duck Tolling Retriever was originally known as the Little River Duck Dog and originated in the Little River district of Nova Scotia Canada. The history of the Toller in those early years is still somewhat unclear but history notes that as early as the 17th Century ‘small ginger coloured dogs’ were used as decoy dogs in Europe to help lure waterfowl into nets. Historic records first describe such a dog in Nova Scotia in the early 19th Century. It is not known if the Toller originated from these dogs or was developed from a combination of other breeds to imitate what was seen in early Europe. The term ‘Tolling’ in the breed name descends from the phrase to toll (or lure) and retrieve waterfowl. A tolling dog runs, jumps and plays along the shoreline in full view of a flock of ducks, occasionally disappearing from sight and then quickly reappearing, aided by the hunter, who throws toys and balls for the dogs. The dog’s playful actions arouse the curiosity of the ducks swimming offshore and they are lured within gunshot range. The Toller is subsequently sent out to retrieve the shot birds from land or water. 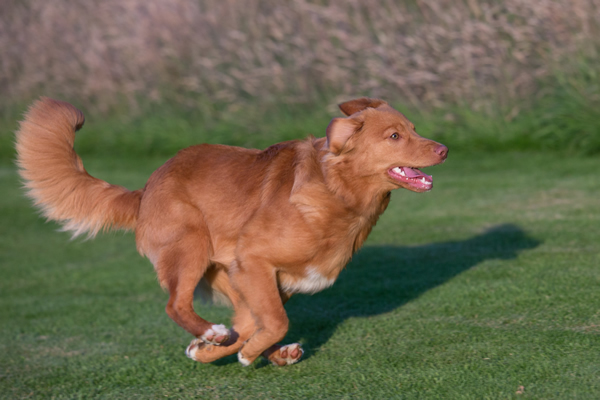 The Toller is an intelligent, medium-sized, powerful, compact, balanced, well-muscled dog. They show a high degree of agility, alertness and determination. It is often expressed that Tollers can have a slightly sad expression when at rest, then as soon as they go to work their appearance changes in an instant to one of intense concentration and excitement. When being worked a Toller has a speedy, rushing action with their head carried out almost level with their back and their heavily feathered tail held high and swishing. To keep the Toller agile and happy they must be stimulated both mentally and physically or they may turn into quite a delinquent dog – be warned, but having said that the Toller comes with an ‘off’ switch so providing they have been sufficiently stimulated they are very happy to chill for hours – usually in the roaching position. 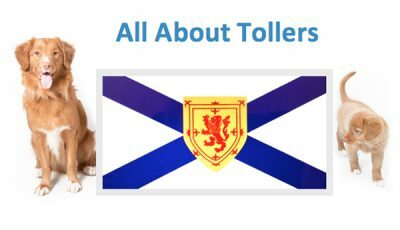 Tollers are working dogs, active, intelligent and driven. Individual dogs show varying degrees of these characteristics but the breed is essentially fast and smart. They are good natured dogs and interested in life and all its opportunities, so it is important to find activities that suit your life style and the needs of your Toller. 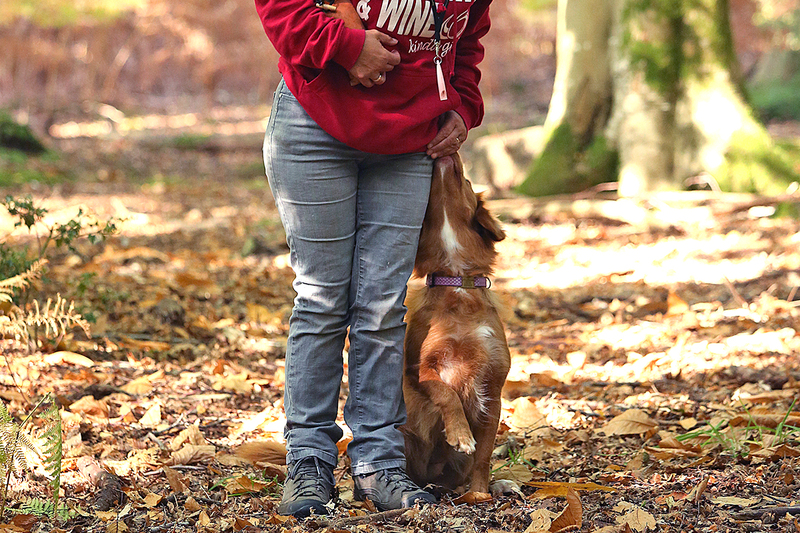 Below are a few of the popular Toller activities available, others include Scentwork, Heelwork to Music and Rally – there really is something for everyone. Being gundog retrievers, Tollers are natural hunting dogs on land or in the water. They have webbed feet and are excellent swimmers. 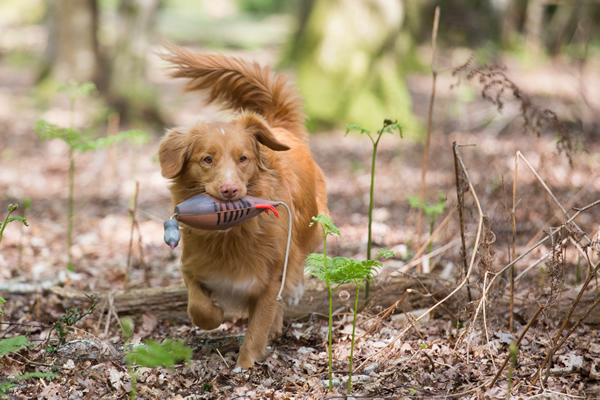 There are plenty of ways to participate in this activity with your Toller, including Gundog training using dummy retrieves, field trials and full hunting tests. Tollers tend to love and excel in agility. 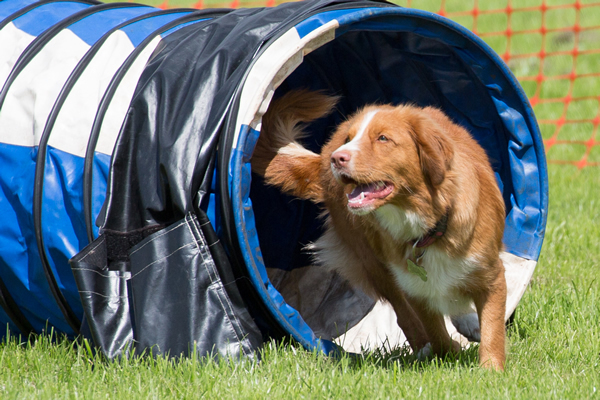 They enjoy both the mental and physical challenge of agility and move like lightning around the course – participating in agility with your Toller, for fun or in competition, is definitely a hobby for those who are fit! Obedience uses the Toller’s natural intelligence to great effect. Tollers take to the training quickly and the biggest problem is the handler keeping up! 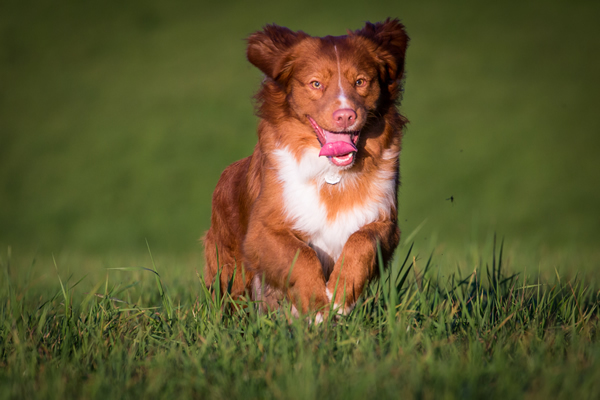 Showing a Toller in conformation is in some ways, a lot less strenuous than other activities, yet it still relies upon the Toller’s natural intelligence and flair so the handler and dog are one. Why Not Get A Toller ? Tollers shed their coat seasonally and they are dogs who like to swim, roll and wallow. They are not the dog for the fastidious or the allergic. Many Tollers do just fine in households with cats or other animals. They do have a strong prey drive howvever. If you don’t want your cat chased, this may not be the dog for you. Tollers are generally wary of strangers, but if you want a dog as protection look elsewhere. While they are excellent natural watchdogs with a bark more than enough to scare away a burglar, these dogs are not cut out to protect. Many Tollers have a penetrating scream which they produce to indicate excitement and eagerness. To the uninitiated this can sound like the dog is being fed into the wood chipper. It is high pitched, frantic and ear piercing! Not all Tollers scream, but many do, so if you live where dog noise will get you in trouble or you just don’t like dogs who make a noise then this is not the breed for you. 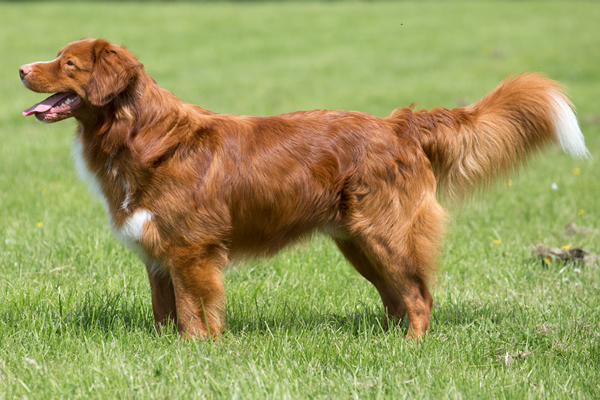 Tollers are part of the Gundog group and are traditionally bred to be working dogs. They have a frantic drive to work and will retrieve until your arm is ready to fall off. Tendonitis in Toller owners is not unusual. This may be cute now but after the 400th throw you may change your mind! If you are looking for a dog to be everyone’s best friend, the Toller may not be for you. Tollers are gentle and kind and many can be quite outgoing but they don’t have the Labrador ‘Hello you ae my best friend’ attitude. Tollers will greet strangers happily but generally reserve true enthusiasm for their family and special people. 4. Did you Say NO? If you give a Toller an inch they will take a mile and come back for another. Tollers are generally too smart to engage in dominance battles. Instead they sense your weaknesses and will exploit them. If you are unable to be firm about your house rules you will find that the ruler of your house has four legs and is red! However that might suit you – if you are not in charge they will be! Tollers love to work but they are not always easy to train as other breeds. They need to engage in their activity or they get bored and stop paying attention. They also try to second guess you by thinking for themselves. Patience, inventiveness and flexibility are key. If you are unsure about your ability to train, a Toller might not be for you. It cannot be stressed enough that this is a dog with brains to spare. 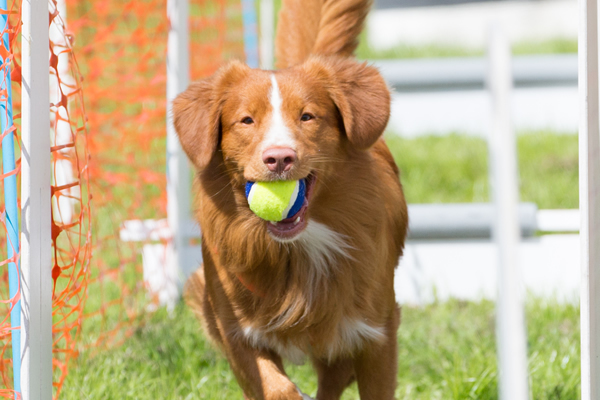 These dogs, even the ’just pet’ ones MUST be given at least basic obedience training and many Toller owners are active in several dog activities just to keep their Tollers occupied or you will find they can become downright obnoxious around the house. This is an energetic dog who needs plenty of stimulation and exercise . If you are looking for a dog who is content with nothing more than a pleasant walk in the evening then look elsewhere. A Toller with excess energy will find another outlet for their drive and the results are seldom pleasant!